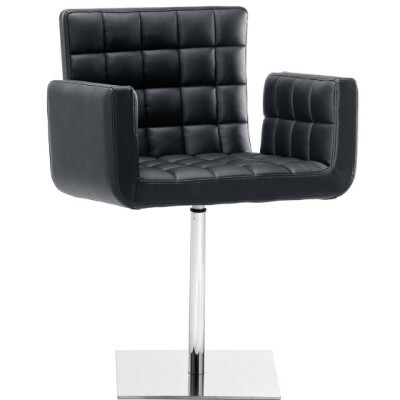 Swivel armchair with square base in satin steel. Chrome frame. 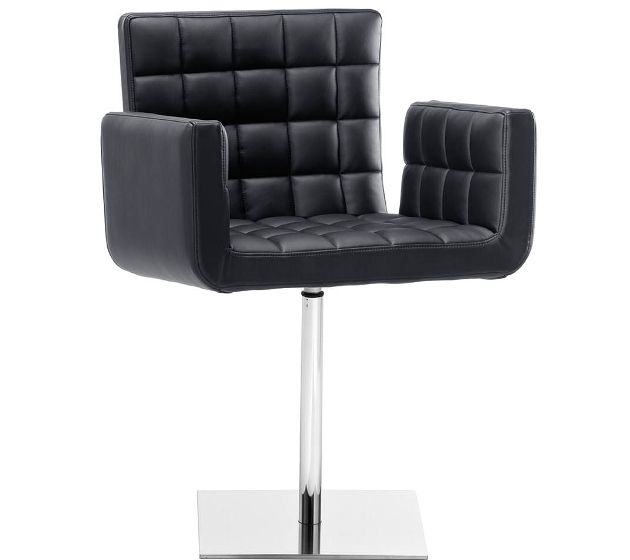 Seat upholstered in leather, ecoleather, fabric or custom’s fabric.